Liverpool FC Thread #159:- Unity Is Strength! Three fixtures left this month. Happy 19th birthday to Ben Woodburn! Daniel Sturridge on reaching 50 Premier League goals for Liverpool! Liverpool will record their 200th away victory in the Premier League if Jürgen Klopp's men can collect three points at Huddersfield Town on Saturday afternoon. The Reds did the 'double' over David Wagner's Terriers last season, winning 3-0 at both Anfield and the John Smith's Stadium. And should Klopp's side keep a clean sheet in the match, they will become the first Liverpool team ever to have conceded as few as three goals in the opening nine games of a league campaign. The Reds' best in the Premier League era is five, under Rafael Benitez in 2007-08. Liverpool are unbeaten in the last 11 league meetings with Huddersfield home and away, winning eight and drawing three on a run that dates back to 1959. The Reds edge the overall head-to-head in league clashes with 27 wins to 26. They have scored 119 league goals to the Terriers' 113. Should LFC win at the John Smith's Stadium, Klopp's men will record 23 points from their first nine top-flight games of the season - a tally the Reds have equalled only once before in the Premier League era, in 2008-09. If they avoid defeat, Klopp's side will have the best goal difference of any Liverpool team in the Premier League era after nine games. They are currently on +12 and the record after nine games stands at +11, which the club have recorded four times. Liverpool have won four and drawn one of their last five league visits to the Terriers. Against all opponents, the Reds have lost only three of their last 37 Premier League matches home and away. Liverpool's Roberto Firmino scores against Huddersfield Town. Roberto Firmino's goal in last season's 3-0 away win was the 50th scored by the Reds in the league at Huddersfield. Liverpool have never lost any of the 21 away matches in all competitions in which Firmino has netted (18 wins, three draws). Mohamed Salah's next goal will be his 50th for an English club in all competitions. Joe Gomez has played three times in his career against Huddersfield, the first with Charlton Athletic. Each time his team has won 3-0. Andy Robertson could play the 200th league game of his career, having also featured for Hull City and Scottish sides Queen's Park and Dundee United. Huddersfield have not won in the last 12 league games (five draws and seven defeats) and are enduring their longest winless run since 2000 when they went 17 games without a victory. Daniel Sturridge is Liverpool’s Standard Chartered Player of the Month for September. The striker made four appearances, two of which were starts, throughout the month and scored three times to top the fan poll ahead of second-placed Virgil van Dijk and James Milner in third. Sturridge’s well-taken header set his team on their way to a thrilling 3-2 Champions League win over Paris Saint-Germain at Anfield, before he struck twice in a week against Chelsea. His first goal versus Maurizio Sarri’s side ended up being in vain as Liverpool were knocked out of the Carabao Cup, but his second will live long in the memory: a late, long-range effort that secured a Premier League point for the Reds at Stamford Bridge. Upon being presented with his Player of the Month award at Melwood, Sturridge told Liverpoolfc.com: “It’s good, it’s a good achievement. It was a good month for myself, I felt like I contributed to the team. 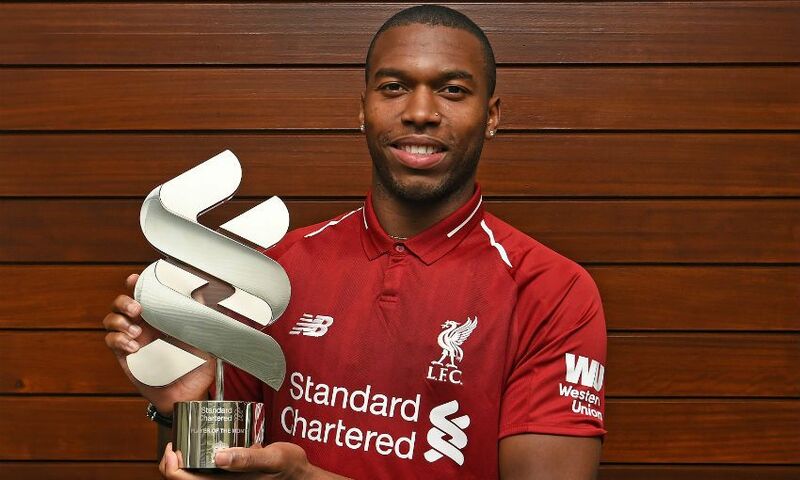 With his moment of brilliance versus Chelsea having since been awarded both the LFC and Premier League Goal of the Month prizes, it was little surprise that Sturridge chose that as his personal highlight for September. “Yeah, I think probably with the stage of the game and the time that it was,” the England international said. 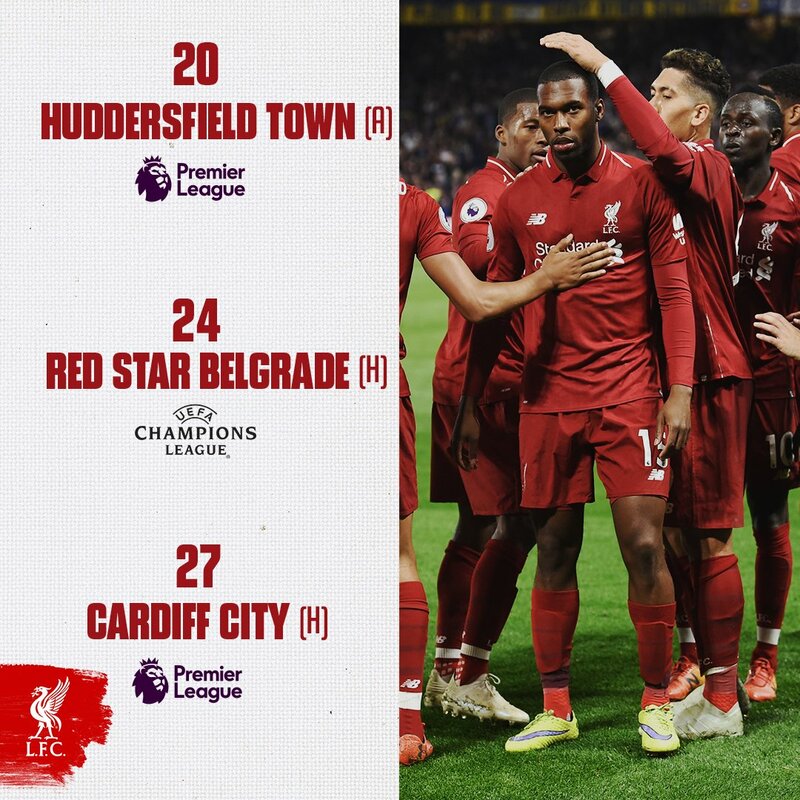 That Liverpool emerged from a month that saw them face Leicester City, Tottenham Hotspur, PSG, Southampton and Chelsea twice with four wins, a draw and just one defeat offers proof of the strength of Jürgen Klopp’s squad this season, Sturridge feels. The No.15 continued: “Of course. We’ve got a very strong squad, every position from back to front, so as long as we all keep pushing ourselves in training and giving the manager opportunities to choose whichever team is necessary depending on the opposition, it’s important for us. Liverpool have confirmed they will make a late decision on Sadio Mane’s involvement against Huddersfield Town today. 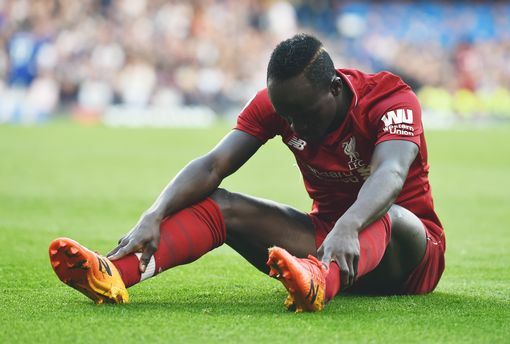 Mane required surgery on his hand this week following international duty with Senegal. When asked about the forward’s availability, Reds boss Jurgen Klopp said: “I really don’t know yet. We have to see. “Three days ago, Sadio came home, it was diagnosed. At the moment I have no clue what he can do with the brace on. As Lloyd Christmas says in Dumb and Dumber - so you’re saying there’s a chance? Liverpool are working closely with Derby County to monitor Harry Wilson’s loan spell at Pride Park, manager Frank Lampard has confirmed. Wilson and Chelsea’s Mason Mount are both enjoying successful starts to their career at the Rams, winning international call-ups for Wales and England respectively. “Chelsea and Liverpool keep a very close eye on Mason Mount and Harry Wilson, which is great,” the former Chelsea midfielder said. “The communication is fantastic, both ways. I love that, that is how it should be done. “Hopefully, they feel like they are in good hands. “We’re loaning them, we’re borrowing them, and they go back hopefully better players and hopefully to really great careers, both of them. “They both have good heads but they are young boys in the big scheme of their careers, and they are developing. “The harsh reality of football is that the moment your heads gets in the clouds, with a great free kick, or an England call-up, things can turn against you, if you don’t take that in the right way. “I just try to remind them what’s needed day in, day out, and that every training session is an opportunity to improve. “Every moment is an opportunity to show something, to improve, to learn, to get better. “I don’t think they need lots of telling but it is my job to remind them of that, because I do like to see them improving individually. Liverpool make three changes to their line-up as they return to action at Huddersfield Town on Saturday evening. 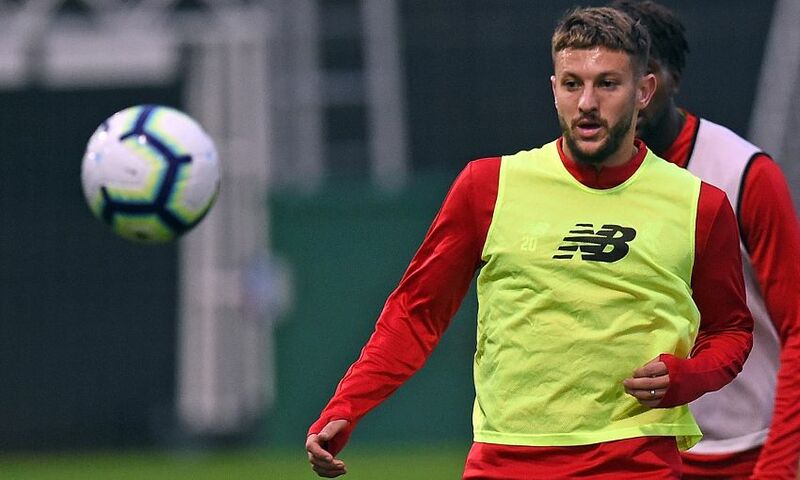 Adam Lallana is handed his first start of the season in midfield, while Xherdan Shaqiri and Daniel Sturridge begin in attack at the John Smith’s Stadium. Virgil van Dijk, James Milner and Mohamed Salah are all fit to take their places in the XI after injury concerns. Subs: Mignolet, Fabinho, Wijnaldum, Firmino, Origi, Matip, Alexander-Arnold.